I will be on vacation this week. I hope to have a guest post going up later in the week, but mostly I won't be blogging, or even available. In the meantime, I encourage people to visit the 115th Carnival of Nuclear Bloggers at Atomic Power Review. It is a fascinating group of blogs, including updates on Fukushima, an interview with the author of SuperFuel, and musings on nuclear regulation. You can always find a link to the latest Carnival in the right-hand column of this blog (woman in a carnival mask). In Vermont-specific news, I recommend this analysis of Vermont's Electricity Outlook, by Guy Page of the Vermont Energy Partnership. Well-analyzed, but a bit depressing, unless you happen to live in Quebec. Recently I wrote a post about carbon dioxide and nuclear energy. 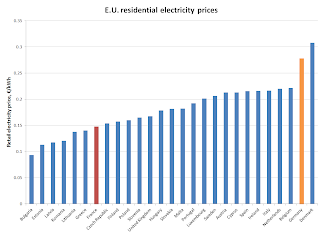 Specifically, I posted about why people concerned with climate change seldom talk about nuclear power (though it is a VERY low-carbon source of electricity) and why pro-nuclear people like myself rarely mention climate change. The simple answer for both groups (climate-change activists and pro-nuclear activists) is that we are both afraid of losing our core supporters. Pro-nuclear people are often conservative and do not believe climate change is a major issue. Climate change activists are often liberal and don't approve of nuclear power. If a speaker crosses the line to say: "we need nuclear" (in front of a climate change group) or "nuclear will help prevent accelerated global warming" (in front of a pro-nuclear group)...well, that speaker will probably lose half of her audience. My original post appeared in my blog, Carbon Dioxide and Nuclear Energy: The Great Divide and How to Cross It. It was syndicated by The Energy Collective and appeared on their site, also. The post received a lot of comments both places...as a matter of fact, 34 comments on both sites. The Energy Collective recently sent their contributors an email that contained a Leaderboard (part of the Leaderboard is at the upper left). From that board, I learned I had written the top-commented post for July. I decided I would look a little more closely at all the comments. Before I talking about the comments, however, I want to note that my friend Suzy Hobbs Baker has written an excellent post on the same subject at ANS Nuclear Cafe today. Climate Change and Nuclear Energy: We Need to Talk. The Energy Collective is a much bigger site than Yes Vermont Yankee, and that is reflected in the number of people who read the post on the two sites. As of this writing, 710 people have read my post at The Energy Collective, and 392 have read it at my own blog. The comment streams on the two posts were so different that they might as well have been about different posts. 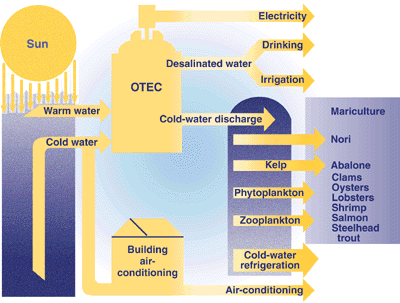 The Energy Collective comments started with a discussion of renewables but quickly moved to the idea that nuclear was not implemented safely, and then went on to a discussion of thermodynamics and Ocean Thermal Energy (OTEC). Rod Adams, Paul O, Aggie Engineer and I were sticking up for classical thermodynamics and heat transfer, while others argued against what the second law tells us about the requirements of heat engines. My favorite quote was from Aggie Engineer. He said I should think of myself as "grief counselor" as people came to terms with the second law. The Yes Vermont Yankee comments riffed from my statement that nuclear had many advantages over fossil fuels, besides the global warming argument. The main discussion was about the advantages (or not) of nuclear power. People quoted article after article, source after source, to make their points. Kit P has had a guest post on my blog and commented extensively on this post. He had many references about the way fossil fuels have been cleaned up, but Aaron Rizzio and Gwyneth Cravens had rebuttals. Naturally, Kit P had rebuttals to them, also. The comments also included references to Vermont energy sources and the effects of thermal pollution and pumped storage on the Connecticut River. In other words, many of the comments on my blog were more detailed and closer to home than the comments on The Energy Collective blog. I am sorry to say there was also more snideness on my blog, crossing the border to ad hominem attacks. Most of the posts, on both boards, were about the science: thermodynamics, OTEC, ocean acidification, coal plant clean-up. There were very few comments about the politics: who speaks about global warming, and in what context. This is probably because both blogs are technology-oriented. My blog was more like a small town discussion, getting right down to talking about Connecticut River issues and getting snide. The Energy Collective comments took a wider view. I guess that is what would be expected. I am grateful for everyone who commented on either of the posts! Thank you all! Listening, I felt I was in a time warp. It's almost as if the court case hadn't happened. It's almost as if the judge hadn't pointed out that Vermont has no jurisdiction about nuclear safety. It's almost as if nobody knows that the NRC has sole jurisdiction on that subject. It's almost as if Vermont never learns. I posted about the Vermont State Nuclear Advisory Panel at ANS Nuclear Cafe today: Vermont State Nuclear Advisory Panel: Safety Again! Read it to find out about your state government at work. The 114th Carnival of Nuclear Energy Bloggers is posted at ANS Nuclear Cafe. It's a great Carnival with a wonderful set of posts, including a whole bunch of people having fun disproving a study of "cancer deaths due to Fukushima." I urge you to read the Carnival. 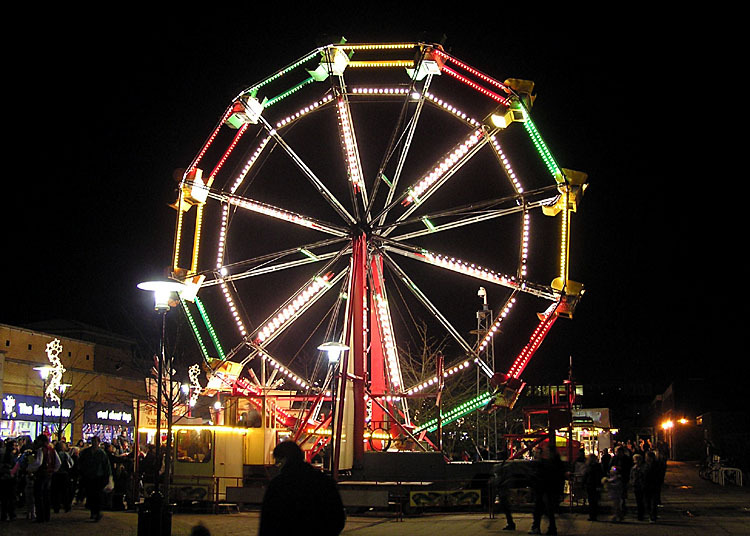 Meanwhile, at this blog, I am going to treat the Carnivals a bit differently. In the past, I wrote a "pointer post" to the Carnival, along with a summary. But alas. My pointer posts, however well-crafted, got only about a quarter (or less) of the page count as my regular posts. So I'm trying something new. A pointer widget! Dan Yurman was kind enough to supply the widget. It's the woman with the mask in the right column of my blog. In the future, within a regular blog post, I will remind people of the widget when a new Carnival gets posted. I urge people to visit the Carnival. When I was in the nuclear power industry, I was a specialist in preventing corrosion in steam generators in pressurized water reactors. 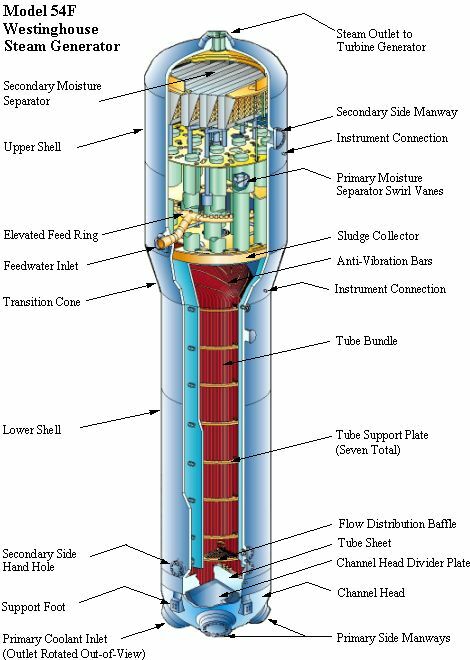 Recently, replacement steam generators at San Onofre Nuclear Generating Station (SONGS) showed unusual wear, and Arnie Gundersen wrote that this was because the replacement generators weren't just like the old steam generators. They even used a new alloy! This assertion steamed me a bit (pardon the pun) because the whole point of the research we did at the steam generator project office at EPRI was to improve steam generators. Replacement steam generators aren't supposed to be just like the old steam generators, they are supposed to be better. In April, Will Davis of Atomic Power Review asked me to write a guest post about steam generator research and improvements. I did, and the post got a lot of hits. Writing the post for Atomic Power Review also meant I get some invitations and phone calls based on my steam generator knowledge. Recently, the NRC has issued various reports about the San Onofre steam generators, and I received an invitation to a conference call yesterday. I was invited to a Southern California Edison conference call about the steam generators. This call was very informative, and Dan Yurman of Idaho Samizdat has written a clear, well-researched post about the NRC reports, San Onofre, and what we learned at the conference call. It is going to take a lot of work to figure out the next steps at San Onofre, but nobody is in danger, and (I believe) SONGS will be back on line in a few months. Yurman's well-referenced post, A Long Hot Summer Ahead for SONGS does not underestimate the problems SONGS faces. However, Yurman's post is a good antidote to overblown negative predictions. Arnie Gundersen has been supported by Friends of the Earth to write reports on San Onofre. It should surprise nobody that his reports put the worst possible spin on the San Onofre steam generator problems. On the conference call, someone from Southern California said that Gundersen supports continued operation of Vermont Yankee. "What what what what what?" I sputtered. Gundersen supporting VY was news to me! After all, I debated Gundersen about 18 months ago. I took the "Keep Vermont Yankee Running" side of the debate, and Gundersen took the side of "Shut Vermont Yankee Down." Here's a link to a blog post with a video of the debate. If you watch even a little of this debate, you would hardly think that Gundersen supports the continued operation of Vermont Yankee. What on earth were these people talking about? Well, they were talking about what Gundersen said on a radio show in California. To listen to his words, you have to go to this KPBS web page, then go to the KPBS Midday Edition, and then move the cursor to the 8 minute mark (more or less). Alternatively, I will simply transcribe the section for you, below. Interviewer: Arnie, I introduced you as a nuclear consultant, but just to be clear. Tell us, are you also an anti-nuclear activist? Gundersen: No, you know, I have a bachelors and masters in nuclear and was a senior VP. Two..three years ago, consulting for the state of Vermont, I signed a report saying that Vermont Yankee, our nuclear plant here in Vermont, could run for another twenty years. So, I don't know many nuclear activists who sign reports authorizing nuclear plants to continue to operate. Gundersen is telling the truth here. He did sign a report (Public Oversight Panel report, March 2009) that concluded that Vermont Yankee could continue to operate. Actually, it said that operation of the plant is possible if the recommendations of the panel report were put in place by Entergy and carefully verified by strengthened government institutions, etc. Read the report for yourself, especially page v, "Panel's Overall Conclusions." It isn't exactly a ringing endorsement of the plant or anybody who supervises it, including the NRC. The Public Oversight Panel report was a joint effort. There were usually four people on the panel. My understanding of Gundersen's views on Vermont Yankee lead me to believe that he probably fought against every positive word in that report. However, I wasn't there when the report was written, so that statement is just my opinion. I formed that opinion by debating Gundersen and from other things he has said. Gundersen's radio statement on California radio may have convinced some people that he is a nuclear consultant, not an anti-nuclear activist. After all, he signed a report recommending continued operation of Vermont Yankee. Maybe. I encourage people to read the report and draw their own conclusions. Personally, I still see Gundersen as an anti-nuclear activist, and that remains my opinion. 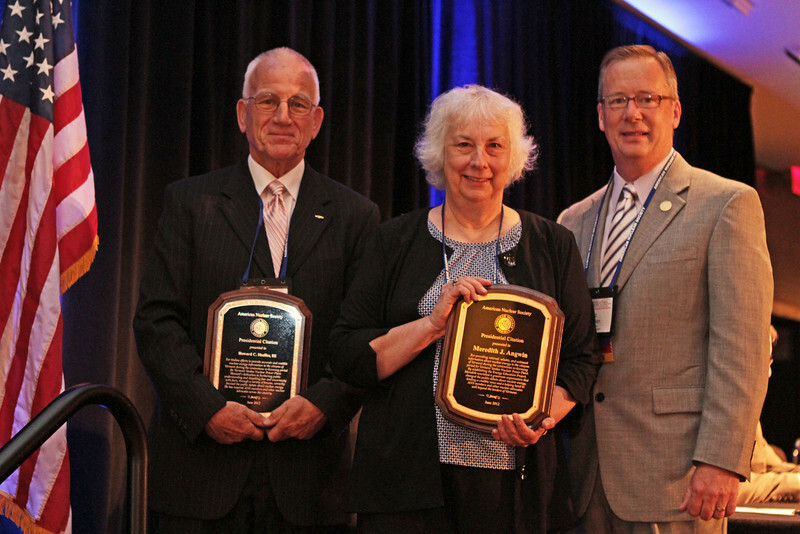 On Monday, June 25, Howard Shaffer and I received Presidential Citation Awards from the American Nuclear Society President, Eric Loewen. For tireless efforts to provide accurate and credible nuclear energy information to the citizens of Vermont during the contentious re-licensing period for Vermont Yankee Nuclear Power Plant. 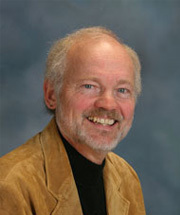 Howard’s dedication to furthering public understanding and dispelling fear and uncertainty with facts, through a variety of forums, correctly focused the public debate about nuclear energy. 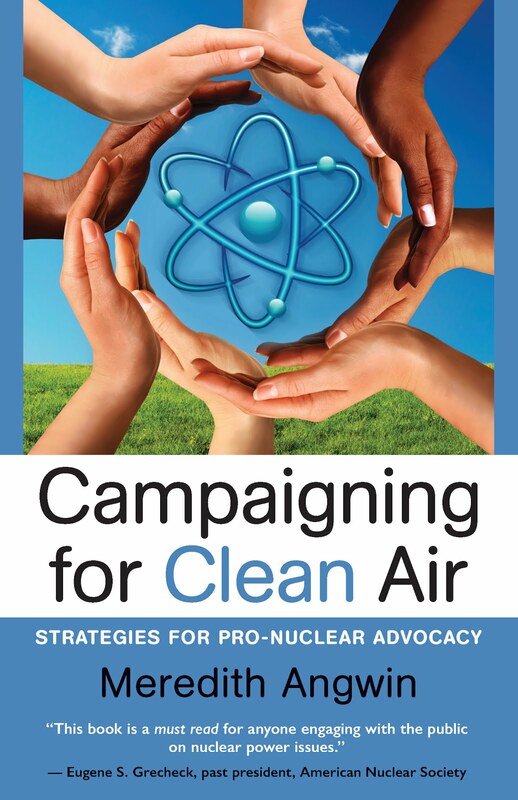 He has inspired ANS members and other nuclear advocates across the country. For providing rational, reliable, and unbiased information about nuclear energy to the citizens of Vermont during the contentious re-licensing period for Vermont Yankee Nuclear Power Plant. 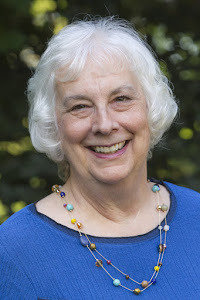 By establishing the Energy Education Project, Meredith nourished a grassroots organization that changed the public debate about nuclear energy, lending a credible voice and a helping hand to ANS members and other nuclear advocates well beyond the borders of Vermont. Well, you can see us grinning in the picture above! It was a wonderful thing to be honored this way, We have both worked hard to support nuclear energy in general and Vermont Yankee in particular. It felt amazing to have our work honored at this meeting, and to have people congratulating us in the hallways, at the lunch tables, and so forth. You can read the ANS Nuclear Cafe blog post about us here. Other people also received honors and awards, and some were made Fellows of the American Nuclear Society. 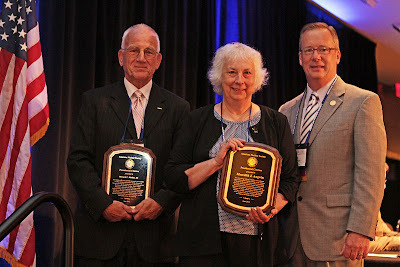 You can see their pictures, and read links to their stories, at this Honors and Awards post at ANS Nuclear Cafe. The main thing, for me, was learning we are not alone. I had many conversations with other people who are also working hard to dispel the fear, uncertainty and doubt surrounding nuclear power. I realized that building a community of nuclear supporters is the true aim. I remember when I started my own efforts, and someone asked me "what do you hope to accomplish?" They asked rather aggressively, and I don't know what they expected my answer to be. I said I wanted make it possible for people support nuclear power--and feel safe about saying they support it. Some people advocate raising school taxes and others disagree. Both sides feel fine about expressing their views in public forums. Both sides know that plenty of people disagree with them, but they also know that most people are going to keep it civil, and those who don't keep it civil will not be supported in their rudeness. In contrast, people supporting nuclear power in Vermont are likely to feel intimidated by the opposition. Opponents shout at meetings. They drive NRC officials out of the room or throw manure in their water glasses. There was arson at Vermont Yankee's office building. (The office building is not on the plant site.) The people who do these things are applauded by the other opponents. As I learned at the ANS meeting, pro-nuclear people are beginning to show up. This is happening all over the country. Nuclear supporters are beginning to form communities. Mutual support and community among people in favor of nuclear power is essential. In my opinion, it is happening. The Safe and Green Campaign is part of the Sage Alliance, dedicated to shutting down Vermont Yankee. Recently, Safe and Green did us a favor (sort of). They have been annoyed at all the letters in favor of Vermont Yankee that have been published in local papers recently, and they want their supporters to answer these letters. So they put a bunch of pro-Vermont Yankee letters on their website, with links to the letter as it appeared in the local paper. I looked at the page and thought---wow! How convenient! All these good letters in one place! I wish I had thought of that. Here's a link to Sage and Green web page with the letters. If you prefer, you can look at the list below, the same letters, instead of visiting an opponent website. Trojan Horse about Energy: It's the Fossil Fuels. Opponents brought a "Trojan Cow" to the plant's gates, and pulled fake solar panels from within it. Trojan Horses (or cows) are the symbol of deceit. In this case, the deceit was that VY would be replaced by renewables if it closed. It would be replaced by fossil fuel plants. Meredith Angwin in the Brattleboro Reformer. Of course, Sage and Green had no desire to make things better or easier for us. They placed those letters on their website because they wanted to inspire their followers to write counter-letters. I guess I should be worried. Letters may flood in. However, I have seen responses to these letters in the website comment streams, and these responses have not worried me. For example, my letter was in the Burlington Free Press, and one comment there said that I claimed "there was as much tritium in a banana as leaked from the plant." Even when they make up a fact (tritium in a banana?) they get it wrong. The actual facts are on our side. The factual facts, so to speak. Let's keep those pro-Vermont Yankee letters coming! The 113th Carnival of Nuclear Bloggers is up at Next Big Future. This carnival contains some very impressive posts. Dan Yurman looks at the Japanese Diet's review of the Fukushima accident. The review concludes that Mistakes Were Made, but also concludes that the Japanese culture is basically to blame. In Japan, it's hard to contradict your supervisor. As a Japanese saying goes: the nail that sticks up gets hammered down. Yurman sees the Diet report as a bit of a cop-out. "We don't have individual responsibility. Our culture made us do it." Radiation Safety Canada blog also looked at Fukushima issues. One question that comes up all the time: did the earthquake knock out the diesels before the tsunami hit? Radiation Safety Canada blog examines the evidence and comes up with a clear answer: no. The diesels were okay until the tsunami. Meanwhile, Margaret Harding of 4factor Consulting discusses the Russian application for an NRC license, and Atomic Power Review reports on the Russian/Westinghouse alliance bidding for reactor contracts in the Czech Republic. Atomic Insights looks at coal advertising, and Canadian Energy Issues reviews the return on investment for nuclear research in Canada (it's been huge). Next Big Future lists the start-up date for nuclear reactors in Japan, and I have a controversial post on why global warming activists don't talk about nuclear energy, and nuclear energy advocates stay away from global warming discussions. Me: If you are saying that cancer implications of very low doses delivered over time is the same as a one-time higher dose, because of the “stochastic effects,” your argument makes no sense and I don’t agree with you. Applebaum: ...Your statement implies you don’t understand LNT. The rate of cancer incidence is not the same for high single doses as compared to the same doses which are fractionated. To correct for this difference the LNT theory includes a “fudge” factor. Me: I had no idea that the LNT theory had a fudge factor to account for the fact that lower-doses-over-time have less cancer than the same dose all at once. I naively thought that Linear Non Threshold meant, you know, Linear. You know…Linear Non Threshold. If you claim that Linear Non Threshold is correct because the theory isn’t, after all, linear…well, I won’t argue with you. I am not a specialist in fudge factors. William Tucker, author of Terrestrial Energy, has a provocative posting in Nuclear Townhall: When it Comes to Nuclear and Global Warming, It's Cult vs Cult. Basically, many nuclear supporters believe that global warming is not happening. Meanwhile, people who are eager to prevent global warming are often anti-nuclear. To some extent, these attitudes show logical disconnects. Nuclear is a low-carbon choice. If a person claims to be very concerned with global warming and is also against nuclear energy---that person is showing a logical disconnect, in my opinion. Nuclear is preferable to fossil. Even without considering global warming, there are many reasons to prefer nuclear to fossil power. I moved into nuclear energy in the early 80s. (I had been working in renewables and fossil.) In those days, people were not concerned about global warming. I still saw many advantages of nuclear over fossil fuels. UPDATE: Bill McKibben has emailed me to say that this quote does not reflect his opinions. He has also commented on this post. You can read his comment below. The major thrust of the comment is that this story about him is not accurate, and he has been opposed to Vermont Yankee for a long time. Please see his entire comment at the end of this blog. With 350.org, McKibben founded a global movement to solve the climate crisis. In the quote above, he says that supporting nuclear would hurt that movement. To me, this implies that he is more interested in the growth of his movement than in carbon dioxide results for the planet. But what about me? There's an old saying that when you point a finger at someone else, look where the other fingers are pointing. I just pointed at McKibben, and the other fingers are pointing back at me. I'm trying to encourage people to support the continued operation of Vermont Yankee. It's a smaller scale movement than "solving the climate crisis," but Howard Shaffer and I are growing a pro-nuclear, pro-Vermont Yankee movement. What are we willing to do to support it? Well, among other things, in order to support the pro-Vermont Yankee movement, I rarely talk about global warming. 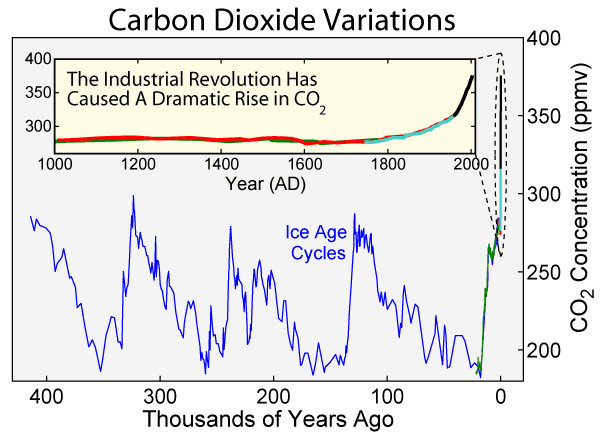 I personally think the world-wide carbon dioxide increase is mostly man-made and causes some level of global warming. I think global warming is a threat to human life and health, but it is not the most over-arching threat we face. In the past few years, many environmentalists have embraced nuclear power because of their concern with global warming. However, a significant portion of the people who support Vermont Yankee do not think global warming is a threat. This divide is not just an issue for Vermont. It's a bigger issue. Global warming divides people in many areas, and it divides the pro-nuclear community. For example, one pro-nuclear discussion board has banned discussion of global warming because people were getting too acrimonious. For myself, I rarely talk about global warming in context of Vermont Yankee. I know the discussion could get too acrimonious, and I could alienate some of the plant's supporters. Apparently, McKibben doesn't talk about nuclear power in his "solve climate change" movement. He probably has the same reasons: talking about nuclear power could get too acrimonious, and he could alienate some of his supporters. Are McKibben and I birds of a feather? At one level, yes. We are two people, dealing with the huge climate-change divide and trying to keep our supporters . At another level, our strategies are quite different. Though McKibben and I seem to be good illustrations for the problem, I don't want to keep writing only about the two of us. "How people speak about global warming" is a more general issue. If a pro-nuclear speaker decided to talk about nuclear energy as helping to prevent global warming, that person would gain some supporters and lose some. If an environmentalist admitted that nuclear energy could help prevent global warming, that person would also gain some supporters and lose some. So far, the situations seem parallel. However, these strategies are not actually parallel. If the nuclear supporter decides not to talk about global warming, that person is choosing her rhetoric, not her technology. I can make several arguments in favor of nuclear power. Global warming is one pro-nuclear argument, but I rarely use it. In other words, I select my rhetoric: global warming is very controversial, and it pulls the discussion into directions which are not relevant to Vermont Yankee. However, if an environmentalist decides not to talk about nuclear for fear of losing followers, that person is selecting technologies based on what the followers will accept. That is more than a rhetorical choice. 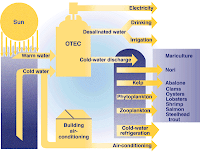 The choice of technologies will affect the results of climate change strategies. Some environmentalists have embraced nuclear energy, but others have not. I am cheered by the ones (like Stewart Brand, George Monbiot and Gwyneth Cravens) who endorse nuclear power. I hope that McKibben may someday bridge the great climate-change divide and join them. Still, in the bottom line, this is not about McKibben, and it's not about me. The problem is the great Climate Change Divide. It's almost impossible for anyone to have a truthful conversation amidst so much acrimony and hatred. 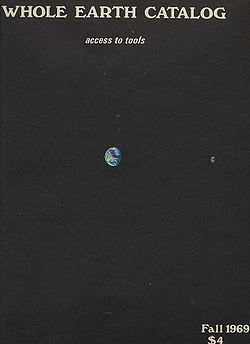 I started this post with the Whole Earth Catalog cover from 1969. Steward Brand was the founder of the Whole Earth Catalog. For this cover, Brand initiated a public campaign to have NASA release the then-rumored satellite photo of the sphere of Earth as seen from space, the first image of the "Whole Earth." He thought the image might be a powerful symbol, evoking a sense of shared destiny and adaptive strategies from people. 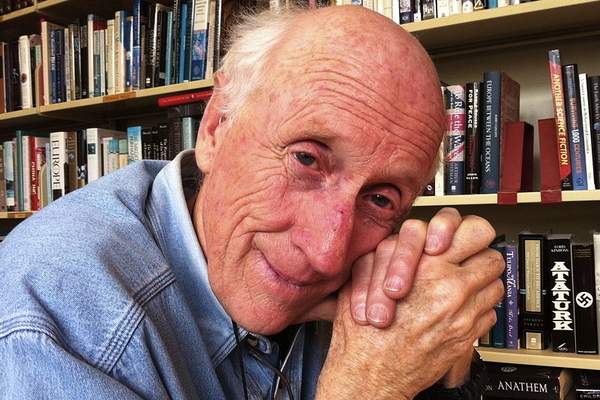 As mentioned above, Stewart Brand is a supporter of nuclear energy. Small update: I was pleased that blog post was cross-posted by The Energy Collective. I am always delighted when they chose one of my posts for their site. The Energy Collective version was also listed among Best of the Blogs at Nuclear Townhall. The 112th Carnival of Nuclear Energy Bloggers is now posted at Atomic Insights. Rod Adams is hosting the Carnival again, after a too-long absence. This is a great Carnival. Dan Yurman of Idaho Samizdat and Margaret Harding of 4FactorConsulting describe the relationship between marketing new nuclear plants world-wide, and U S Certification for these plants. For example, Russia recently applied for NRC certification on one of its reactor designs. They did this even though very few people think that Russia plans to sell reactors in the United States. Speaking of plant regulation, Leslie Corrice of Hiroshima Syndrome blog reviews the Japanese Diet Report on Fukushima. Most of it rings true to Corrice, though some important issues are still speculative. Corrice uses both the Diet report and Japanese news media in his post. For the record, Corrice wrote an excellent short book about the First Five Days of Fukushima. On a similar subject, at ANS Nuclear Cafe, Rod Adams describes the low-level radiation report from the recent ANS meeting. This data should allow the return of far more people to the Fukushima area. A controversial session and a controversial post! Adams doesn't mince words about the way LNT threshold theories have affected people's lives--for the worse. In lighter fare, at Yes Vermont Yankee, I show the state of Vermont making the foolish choice to join an intervenor lawsuit against the NRC. The lawsuit was about water quality permits, and the state and the intervenors lost big-time. When the NRC won, Vermont Yankee won also. After all, the point of the lawsuit had been to force the NRC to shut down Vermont Yankee. Some more light fare, including fare you can eat. Health food! Back to bananas! 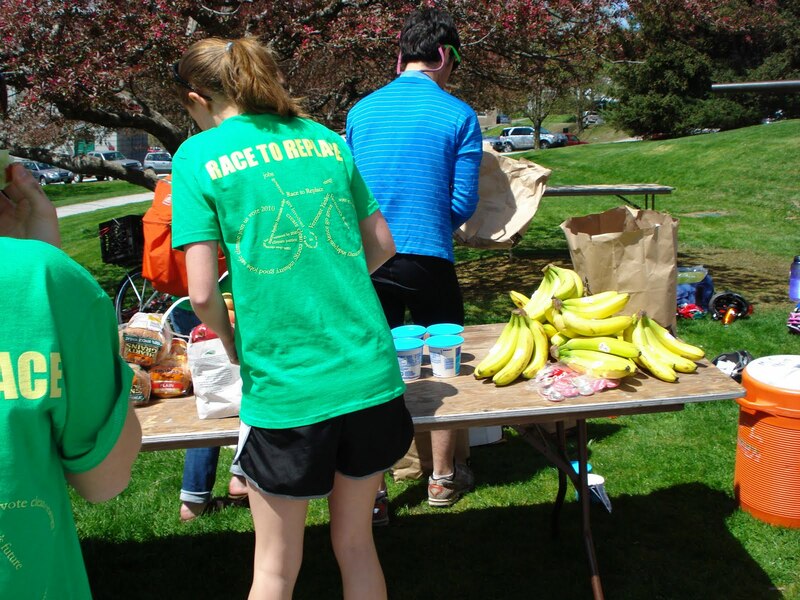 A new blog on Science and Technology, by Dr. Robert Hayes, has a post on Radioactive Food. Many "healthy foods" are more radioactive than "junk foods." It's the potassium. 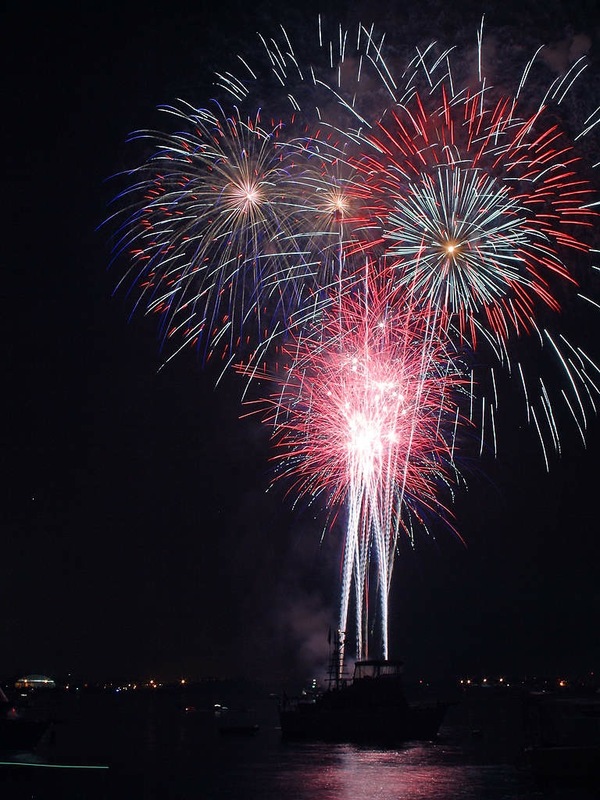 Though it's a holiday week, it's been a great week for substantive blog posts. We are all glad to see Rod Adams hosting the Carnival! Late last month, NEC lost the lawsuit. The U.S Court of Appeals in Washington D.C. ruled against NEC and for the NRC. You can read the ruling here. Oops! Did I say NEC lost the suit? What I meant was that the Vermont Department of Public Service (DPS) and NEC lost the suit, because Vermont joined the suit. DPS joined the suit big-time. Liz Miller, the DPS Commissioner, argued the case before the Court. I found the state's case quite odd. I wrote an blog post last year -- A State of Confusion: The Suit about the Water Quality Permit. As I said at the time: the state is the one that issues water quality permits. If the plant's water quality permit was not up to the state's requirements, the state should have insisted that the plant do something about this. Instead, the state sued the NRC, saying the NRC should not have issued the license extension. In other words, Vermont claimed that Vermont hadn't cared about the water quality permit status, but the NRC should have cared. My guess was this argument wouldn't convince a court. Many of the opponents cried bitter tears that the NRC had escaped on a procedural technicality. According to VPR, a NEC spokesman, Chris Killen, said: "The New England Coalition, and all Vermonters, have now been deprived of the right that was guaranteed to them by Congress, to have a say in how this plant affects clean water." According to the same article, Shumlin's spokesman John Being said "We're disappointed that the court declined to address our substantive water quality argument and instead ruled, based upon kind of a technical issue, a procedural issue,"
However, in the same VPR article, Pat Parentau of Vermont Law School said the court ruled on a fundamental point of administrative law. "Where there's a clear process to raise an issue, before the commission - that‘s the key - before the commission itself - that you can't miss that opportunity and expect the circuit court to hear your argument," he said. Pat Parentau would like to see Vermont Yankee shut down, but he knows this ruling was not procedural nit-picking. Of course, Vermont claims it is considering an appeal to the Supreme Court. Vermont always wants to take it all the way to the Supreme Court. (Take It To the Limit.) However, most people admit that this ruling is the final ruling. The Supreme Court won't hear the case. The Supreme Court rarely reviews rulings that are made on the basis of administrative law. So the next step is---this ruling will stand. Let's talk "substantive issues" here for a moment. First issue. Vermont Water Quality Reviews are On-Going: The Agency of Natural Resources (ANR) has been working on a water quality permit with Vermont Yankee since 2006. To quote a Brattleboro Reformer article on the lawsuit: ANR is still in the process of determining whether Yankee should receive a permit to discharge non-radioactive cooling water -- at up to 100 degrees -- into the Connecticut River. That process has been going on since 2006 and is not expected to be resolved anytime too soon. In other words, what the heck was this Vermont lawsuit about? Second issue. Why Is the Department of Public Service doing this? The Department of Public Service is supposed to be protecting the rate-payer in hearings before the Public Service Board, not running down to Washington to join intervenor lawsuits. However, as I said in my blog post: Gaz Metro Deal Goes Forward. Ratepayers Stiffed. the DPS is not defending the ratepayer. 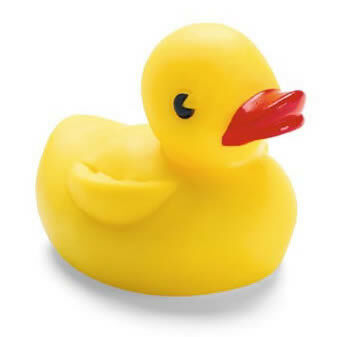 The DPS is just another one of the ducks that Governor Shumlin gets in order. The protest at Vermont Yankee yesterday was advertised ahead of time as going to have 1500 people and 300 arrests. To me, it looks like there were about 200 people, though the Brattleboro Reformer said there were 300. Forty were arrested. Here's a video of the protest. I generally don't share opponent videos, but this one made me angry. The theme of the protest was a cow..MOOOve on, Entergy! That was the theme. The protestors simulated cow sounds with shofars. Some people blew shofars, while others chanted "Mooo." That's disgusting. The blasts of the shofar are sacred in Jewish worship, and the sound has been sacred for thousands of years. Simulating a cow at a protest with a shofar--it's too much. There's cute, and there's nasty. This was nasty. When the attendance is low, I guess they do what they can to make a stink. Update: I appreciate Jeff Schmidt's comment below. The people perhaps did not mean to be sacrilegious and disrespectful. Perhaps they simply thought: "wow, these things make a cool sound like a bleating cow or something." In other words, what I thought was nasty might have been simply dumb and uninformed. I am willing to accept that as a possible explanation, though I consider it unlikely. I mean, if you buy a shofar, someone probably tells you about it. You don't buy a shofar and wonder "what is this thing?" At any rate, I thank Schmidt for his comment. Schmidt is also quite right that the low turnout is the important part of the story. However, if they hadn't been so disrespectful (or possibly dumb) about my religion, I wouldn't have blogged about their rally. Unfortunately, my blogging about it probably just teaches them to be more disrespectful about religion next time, to get more publicity. Yes Vermont Yankee is pleased to host the 111th Carnival of Nuclear Energy Bloggers. Gail Marcus on Drug Testing: At Nuke Power Talk, Gail Marcus discusses Fitness for Duty for workers at nuclear power plants. Random drug testing has long been required at U.S nuclear plants, and will now be required in Canada. At Nuke Power Talk, Gail Marcus tells tales of poppy-seed bagels and helicopter pilots flying "high." Her thoughts are triggered by the announcement from Canada about introducing a random alcohol drug testing requirement at nuclear power plants. Her post is based on her experiences working for Commissioner Kenneth Rogers at NRC during the period when NRC introduced its random drug testing requirement. Rod Adams on Jaczko: Rod Adams at Atomic Insights asks about Jaczko's fitness for duty: Why Was Jaczko Asked To Resign? NRC Chairman Greg Jaczko was asked to resign from his position of authority over the Nuclear Regulatory Commission because the agency charged with independent audits of his organization found that he was not trustworthy and not discharging the duties assigned to him as the Chairman of a duly appointed group of commissioners who share equal responsibility for policy formulation, policy related rule-making, orders, and adjudication. Recently, Mercatus Center economist Veronique de Rugy published a piece in Reason entitled "No to Nukes," laying out the litany of reasons why nuclear energy is incapable of surviving in a free market for energy without intense federal subsidies. There's just one problem with the argument: the facts. Steve Skutnik looks at the various factors de Rugy overlooks in her nuclear hit piece, including both the actual economics of nuclear as well as the generous subsidies (both implicit and explicit) which nuclear's chief competitors also benefit from. Dan Yurman on Court Waste Rulings: At Idaho Samizdat, Dan Yurman describes how recent Court Waste Confidence Rulings bolster nuclear opponents case. Two recent decisions by the U.S. Court of Appeals for the District of Columbia show just how much time, money, and political capital have been wasted on developing a rational solution to the political problem of managing the nation’s spent fuel. 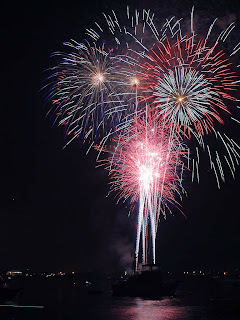 World Wide News: Japan, Russia, Asia and the U.S.
Leslie Corrice on Japan: Leslie Corrice of Hiroshima Syndrome posted this update in the Commentary section on June 29: The most dangerous nukes in Japan...NOT! Corrice says that should come as no surprise to anyone that the two Japanese nuclear plants alleged to be most dangerous are Oi units #3 & 4. It should be taken as little more than politically expedient speculation by a minor group of lawmakers exploiting their nation’s nuclear anxiety to gain increased exposure in the Press. The Diet Group’s nuclear hit list should not be given serious consideration. It is arbitrary, speculative, politically expedient, and clearly intended to keep Japan’s level of Fear, Uncertainty and Doubt at a fever pitch. Russian Fast Reactor: The government of the Sverdlovsk region of Russia has approved the construction of the country's first BN-1200 fast reactor at the Beloyarsk nuclear power plant. The unit will be built to replace the existing smaller BN-600 reactor at the plant, which is scheduled to be shut down by 2020. Chinese Molten Salt Reactor. The U.S. Department of Energy is quietly collaborating with China on an alternative nuclear power design known as a molten salt reactor that could run on thorium fuel. China plans to have a 5 megawatt molten salt reactor in 2015. Reactors in India, including Fast Reactors: India is finishing its 500 MWe prototype fast neutron reactor and plans 2 more. India also is making more 700 MWe nuclear reactors. Plasma Physics in the U.S:. Lawrenceville Plasma Physics (LPP) describes how they will increase the current of their dense plasma fusion project which should boost the power by about 100 times. 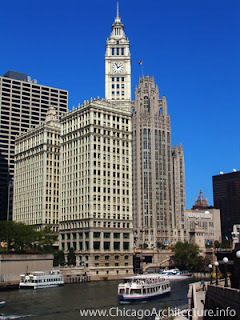 Many bloggers (myself included) spent most of the week at the American Nuclear Society annual meeting in Chicago. Here's a few links to blog posts about that meeting. I expect more blog posts will follow soon. I recommend Dan Yurman's post on the Social Media meet-up, where bloggers discussed how to make good video presentations and put them on YouTube. I recommend this post about the award that Howard Shaffer and I received. The ANS also named three new Fellows (the highest honor) and you can read about their achievements. Margaret Harding won an award for her educational work at the time of Fukushima. I link to an interview with her. 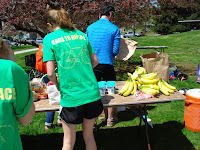 The Young Members Group was also quite active, including working dinners and fun runs. Will Davis has a great post at Atomic Power Review about visiting the vendor hall and collecting information. Among other things, this was the first ANS convention at which a Chinese nuclear company had a booth. Here's Eric Loewen, the President of ANS, welcoming people to the convention and talking about all the different events.